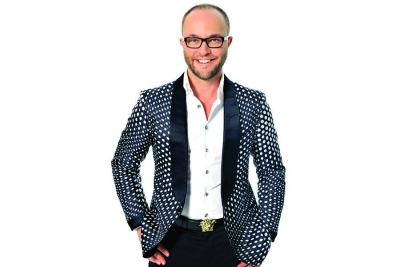 Boldijarre Koronczay, recipient of the International Spa Association (ISPA) Visionary Award, is an icon of the spa industry. 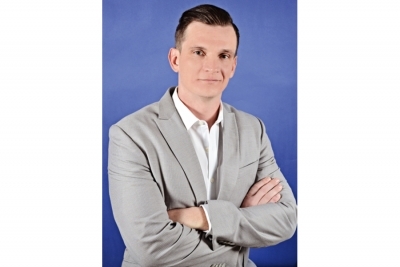 After surviving leukemia in his childhood, Koronczay moved from Budapest, Hungary to Vancouver, Canada to follow his dreams of bringing natural, organic, and Biodynamic® skin care to North America. 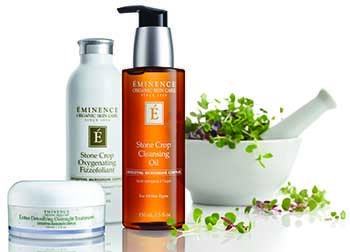 Now, Eminence Organic Skin Care is an internationally-recognized brand. 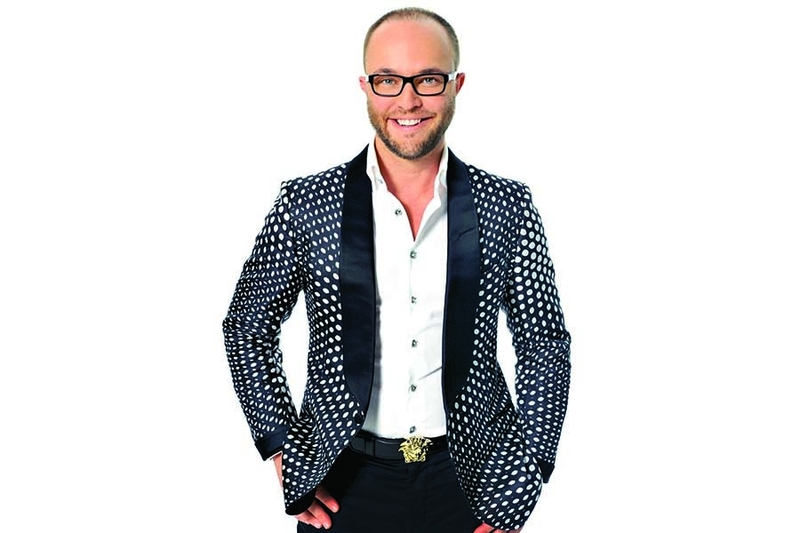 Koronczay has personally trained over a quarter million spa professionals and his talent and reputation as a master aesthetician has attracted A-list celebrity clientele from Channing Tatum to Marcia Gay Harden. My mom and grandmother inspired me to study aesthetics after high school. It seemed to be a natural fit as I had grown up watching my mom give facials to her clients. I was one of the first men to graduate with an aesthetics degree in Hungary. The spa client of 2018 is a “mindful philanthropist.” They want to look good and feel good, not only for their personal wellness, but for the wellness of the world around them. Spa consumers want to visit spas with a philanthropic cause and purchase products that are committed to charitable efforts. Transparency is important to these “mindful philanthropists” – they want to see the results of their choices. Spas and brands must show the direct impacts of their charitable efforts to retain the loyalty of this new spa client. 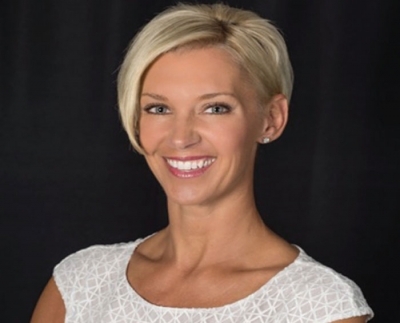 It is important for the spa industry to retain authority as the educated experts. With the internet, it is important to remember that anyone can post anything – even statements that are not accurate or skin care tips that are not safe. People remain loyal to brands that provide extraordinary service, consistent innovation and products that provide real results. Persevere. Be the example of dedication and hard work. Let your staff see that you are the first person there in the morning and the last one to leave. It is only through hard work, late nights, sacrifices, and uphill battles that success is achieved. My family and I researched words meaning “best in class” and “best of its kind.” We knew right away right when we found the word “Eminence” that this was the word that would stick. Eminence Organic Skin Care is committed to giving back to people and the environment. Our Forests for the Future Program plants a tree in a developing country for every Eminence retail product sold. Because of the dedication of our spa partners, Eminence is the first skin care company to plant nine million trees worldwide! We also have a 501(c)3, the Eminence Kids Foundation, which provides organic produce and foods to sick children around the world to aid in their recovery and long-lasting wellness. Recently, we were voted by spa professionals as favorite skin Care line for nine years in a row! This was a record breaking award and truly represents the efforts of the incredible team at Eminence Organics. I am extraordinarily proud of their hard work and willingness to go above and beyond for our spa partners and customers. Always ask questions from the experts. There is always someone smarter than you who can act as your navigator on the road to the unknown. I am always studying the latest and greatest ingredients from aesthetics, farming, food and medical journals. I also take courses from other industries, like leadership and presentation training, to upgrade my own skill set. How do you keep your feelings from clouding decision-making? I always try to follow the rule that nothing is a big deal until you make it a big deal. To put things in perspective, I like to imagine myself in 10 years from the moment: Is the issue I am stressing about still going to matter that far into the future? If the answer is no, I try not to get myself wound up about it. At Eminence, we share the dream to bring the healthiest possible skin care, with the best possible results, to everyone worldwide. This goal keeps me motivated on a daily basis. All the success and everything we have achieved is all because of teamwork. Many individuals, from dozens of departments, make ideas into reality. Behind every leader is a diverse, hardworking team that makes the magic come alive. We celebrate our employees at our daily meetings, grant awards for core values at our annual company conference, and host celebration events when we achieve major milestones to recognize everyone’s hard work and commitment. We hope to leave the world the world a better place than we found it. We aim to achieve that through developing healthy skin care, providing organic meals to children undergoing medical treatments, and planting millions of trees. Customer satisfaction, teamwork, and enthusiasm. There is no such thing as balance when you love what you do. This is one area that I have to work on more. Running a company of this size and being on the road nine months out of the year, there is a price to pay. The price is usually in the form of an extraordinary amount of time spent on airplanes in order to put clients first and a nearly-constant lack of sleep which takes a toll on the body. Sylvia Sepielli – I remember watching her receive the Visionary of the Year award at ISPA and being so inspired. I have met her and she is one of the kindest and most gracious and humble people I have ever met. Working! It is important to me to help our customers be as successful as possible with their businesses, in any way that I can. My daily skin care ritual in the morning starts with Emimence’s Stone Crop Gel Wash, exfoliate with Strawberry Rhubarb Dermafoliant, use Bamboo Firming Fluid, and I protect my skin with Sun Defense Minerals #2 in Cherries & Berries. At night, I love to use our Lavender Night Concentrate.